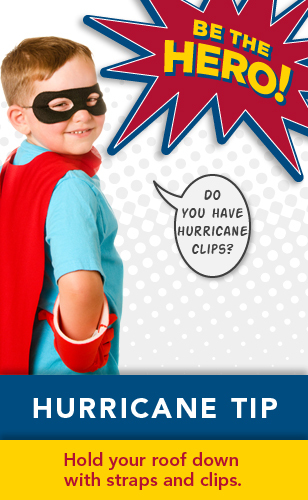 We are in the middle of peak hurricane season and National Preparedness Month! Be sure to hold your roof down with hurricane straps and clips. Simple fixes save lives and property. This entry was posted in Hurricane Prep by federalalliance. Bookmark the permalink.